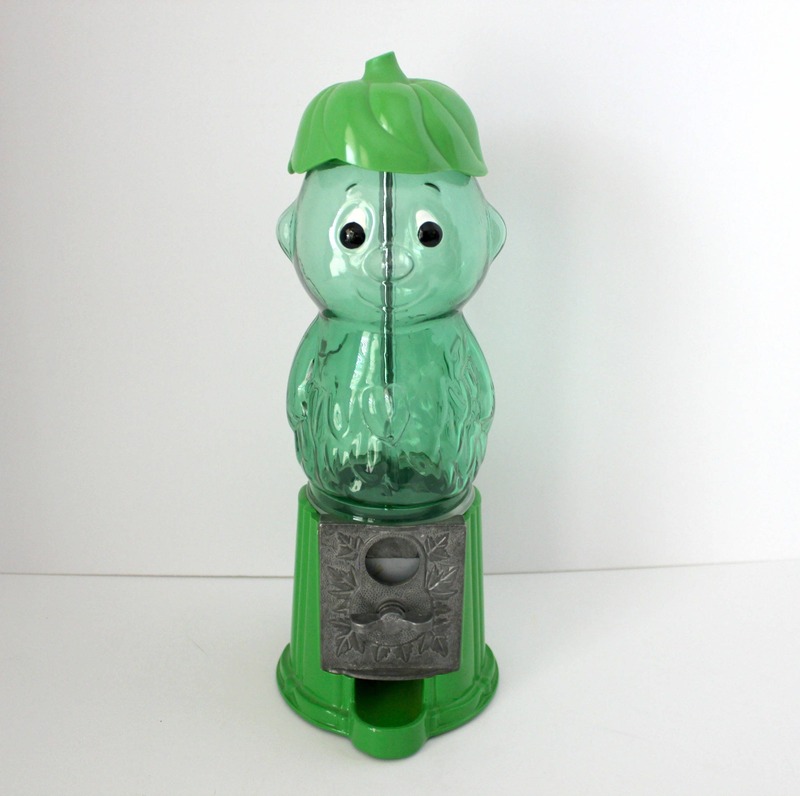 A vintage Green Giant Little Green Sprout gumball machine premium. 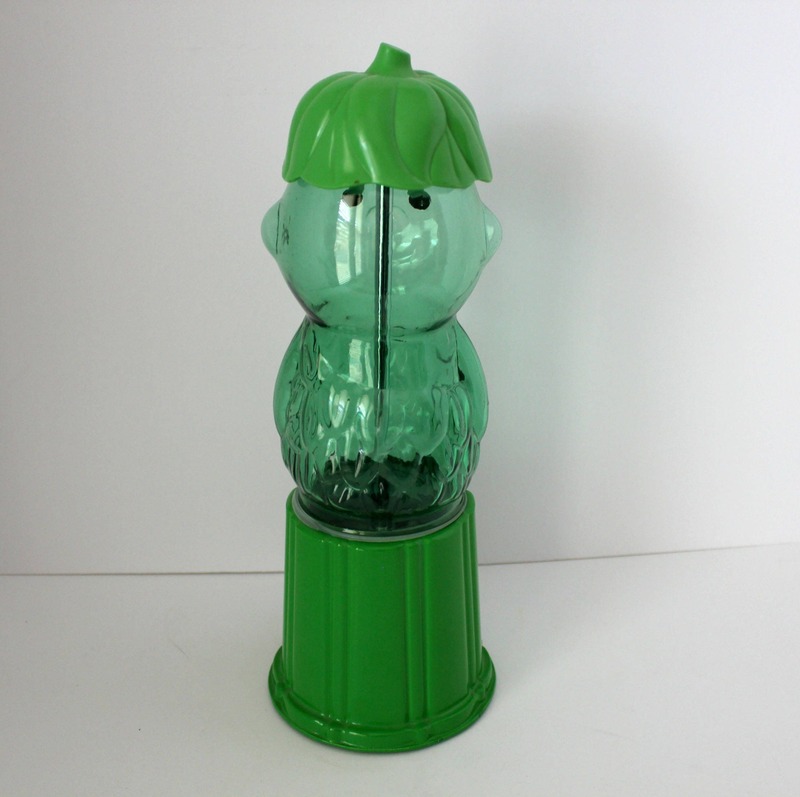 This candy dispenser stands about 12.5" tall and is cast metal on the bottom with glass gumball holder, metal cap and plastic green hat. 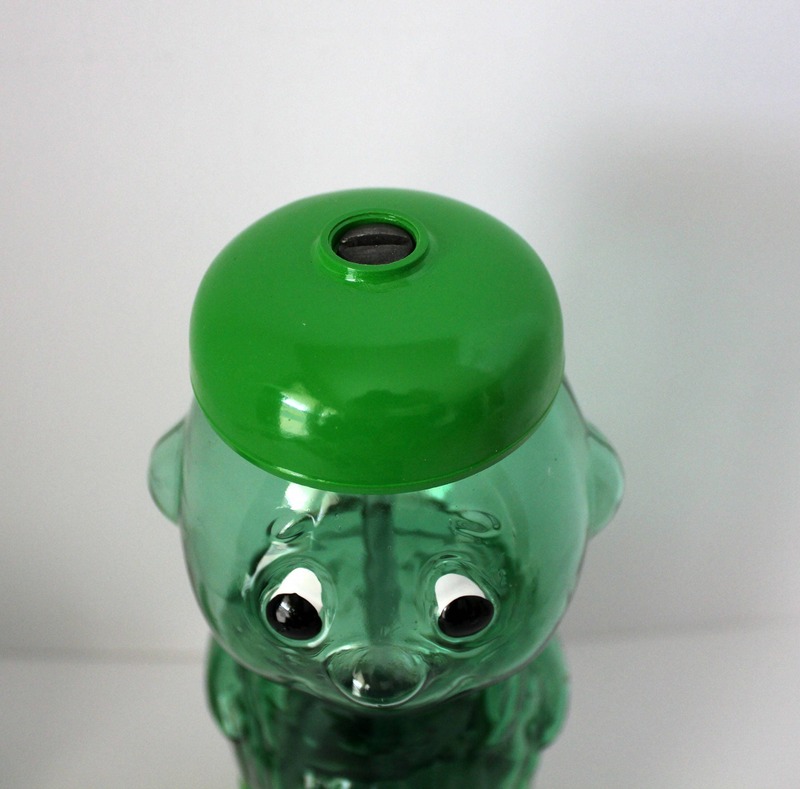 What a cute addition to your rec room, kitchen or anywhere you need a little novelty. Condition is very nice. 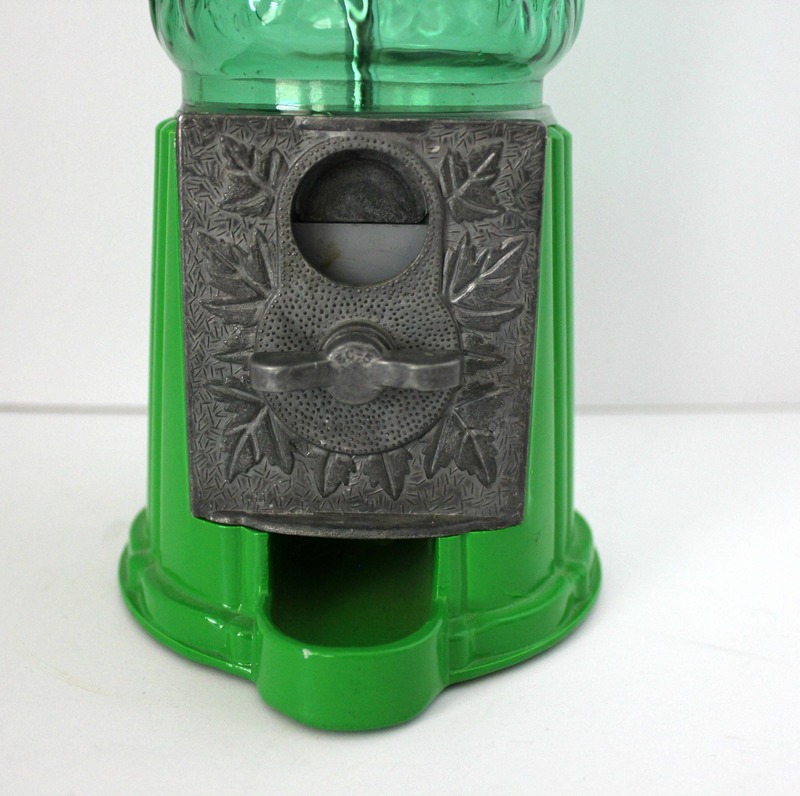 There is a coin I can hear moving around inside, and a spot of missing paint on the edge where the gumball dispenses, but otherwise it looks new, unused. 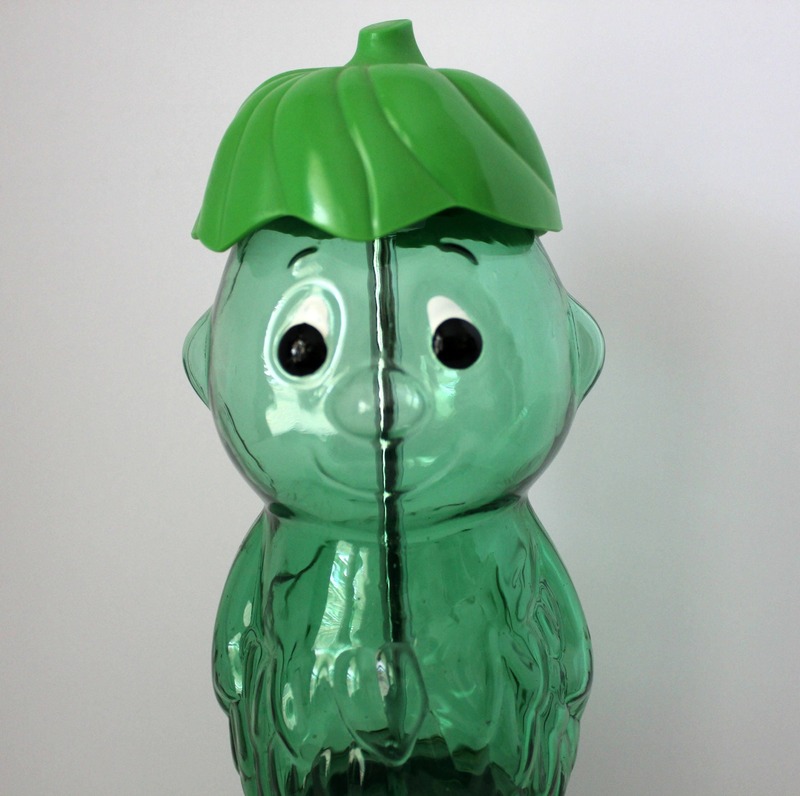 I also have Pillsbury Doughboy available on another listing.